Don't risk faulty electrical wires that cause fire hazards. Getting ready to renovate, build or upgrade your residential or commercial property? 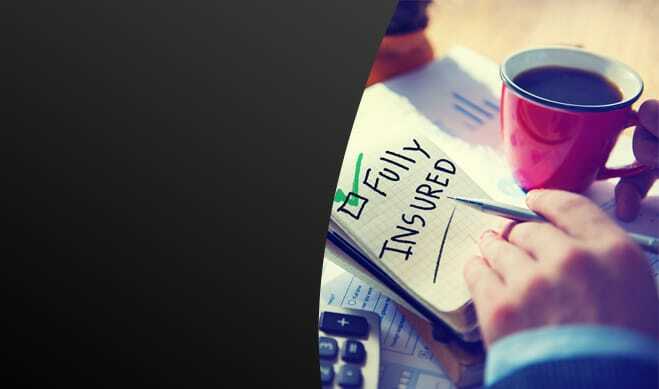 Let us prepare a no-risk free estimate for you. LIGHTING UP YOUR LIFE WITH MODERN ELECTRICAL SERVICES! 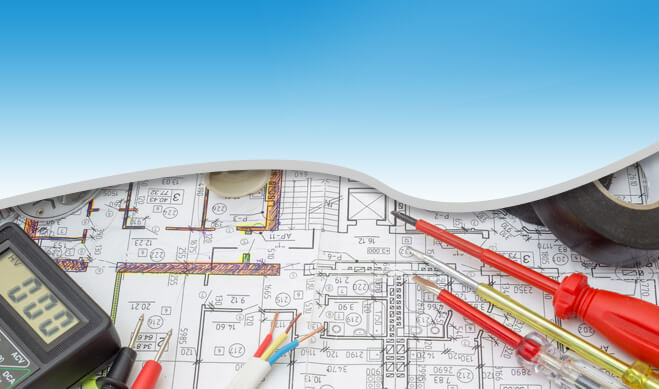 WHAT ARE YOU LOOKING FOR IN AN ELECTRICAL CONTRACTOR? AS TECHNOLOGY EVOLVES SO DOES SCHUMANN ELECTRIC! 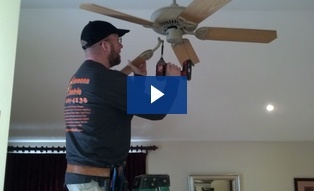 When we say "Full Service" Electrical Services, we really mean it. 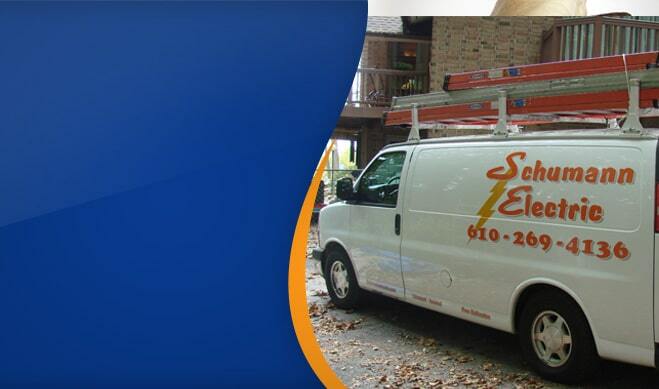 Schumann Electric offers comprehensive services to the residential and business owners of Downingtown & West Chester, PA and its surrounding regions. 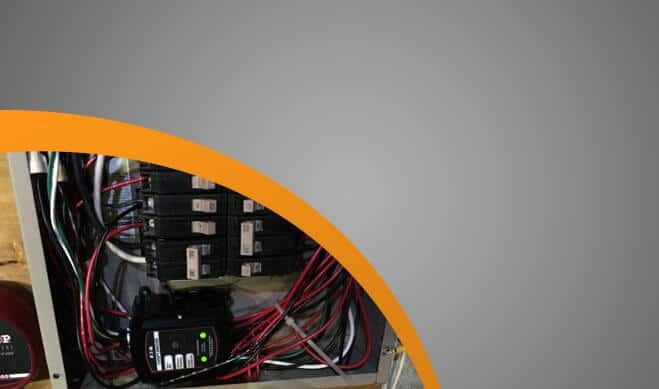 We provide everything from 24-hour emergency electrician services to lighting design, and installation circuit panel upgrades, roof ventilation fans, generator backup systems and everything in between. Dependable: Our highly skilled staff is the best at what they do to ensure your electrical needs are handled properly the first time.Prompt: Day or night, our 24/7 electrical emergency support service can get your electrical needs met in a jiffy. We take pride in prompt and timely arrival. 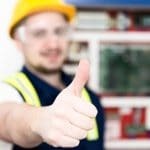 Accurate: With over 20+ years of experience in residential electrical work, you can trust that your job will be done right.Affordable: Before we begin, we give you a straightforward estimate in writing. We treat you fairly and give you our best price right up front.Customer Oriented: We are licensed and insured to protect you. And, we always answer your call. When you call Schumann Electric, you deal directly with the owner for extra attention and personalized care. Having an electrical problem can be frustrating, but we take the headache out of electric services by bringing reliable experience when you need it most. Our goal is not just to be a "one-time" call, but to become your electrician of choice whenever the need occurs. We do this by exceeding your expectations! In most cases, that means same day service, with the owner on-site for all electrical jobs. Whether you have an emergency or not, we treat all jobs professionally by arriving on time, fixing it right, and by applying our very best tools of the trade to give you the most contemporary and cost-effective electrical solutions in the area. Updating your home or building a new one? 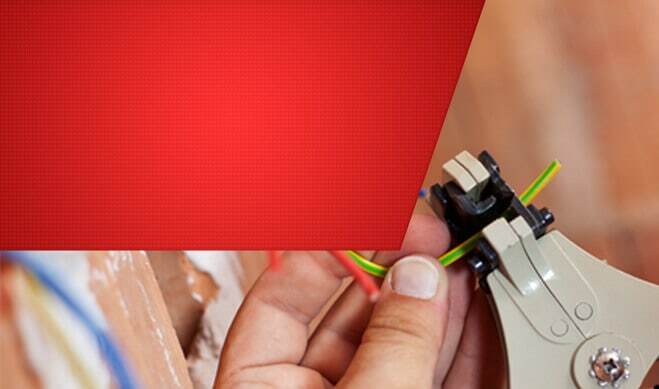 We are more than just a "rush to fix-it" electrical services provider. We can help to enhance your property inside and out with many types of lighting and fan installations, surround sound and electronic media hookups, flood or motion lighting, security, indoor and outdoor receptacles and much more.